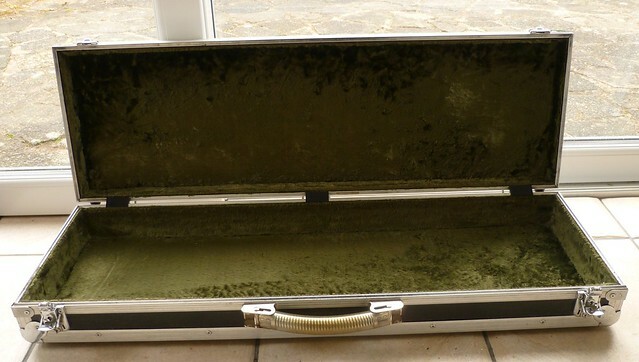 Uilleann Pipes Case as used and sold by Uilleann Pipe Maker Andreas Rogge in Germany. Surface: Black plastic coated panels. Clear PVC tube covered Spring Handle. 2 lock latches and key. 2 D Triangle rings for attaching shoulder strap. Lined with Plush crush green velvet.